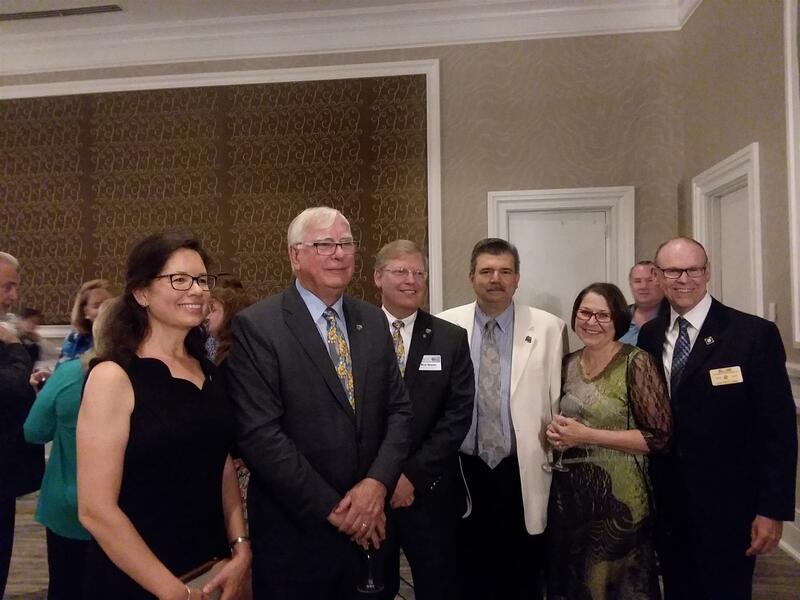 Great fun and fellowship last weekend at the Strikeout Hunger dinner honoring Rotary International President Ian H. S. Riseley. This celebration followed a great Strikeout Hunger night at the ballpark -- Phillies vs. Mets, the evening before. Club members enjoyed the game, while also donating tickets to several local nonprofits. A key highlight of the Strikeout Hunger event: $1,000,000 was donated to further the good work of Rotary worldwide. Play ball! to him, with Rotary Club of Haddonfield members Maria Gorshin (left),Assad Khoury (right), Janet and Bill Lane.